A set of ancient rules based on the square bashing grid system. One foot grid squares. Loads of new idea. 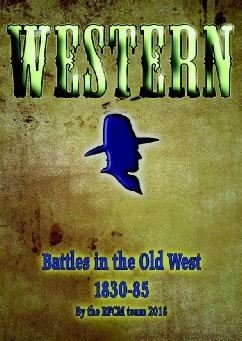 Includes big battles, mercenaries, artillery, defending towns, flank marches and some good fun! Games last about 1.5 hours. A square will fight another square and the result will cause casualties, fall backs, routs etc. these rules allow you to set your soldiers up in the formations you like so it looks good. Fantasy based on Dark Age warfare. This is a historical set, which requires the player to play historically rather than giving the players what they like and then writing rules around that. The rules include all the major battles, uniform details and historical details. the rules are 100 pages long! Lots of excellent and elegant systems. Pre-game is decided by putting dice into various aspects such as route of march and supplies. There is treachery and loads of other good stuff. Most people have really enjoyed these. These are the battles with samurai and ashigaru troops, as seen in Ran and Kagemusha. The armies look a lot like the one lead by Tom Cruise in the "Last Samurai". The rules use the same skeleton as ROF, BB and CWB (see below). The game is played on a 5 x 3 foot table. Units are motivated, they carry out actions and then you move on to the next unit. The opponent has opportunity shooting and the ability to react to charges etc. Rules include pre-battle campaign, challenges, victory points, troop point costs and historical battles (6 of). English Civil War. Includes full game system, campaign, victory conditions et al. Only needs a 4 by 3 foot table. Superb. The sea fights are fought using 1/450th scale ships (men are 4mm high). The fights are never even, but if you are outgunned in one fight you may be better off in the next!! Rules include play sheets. 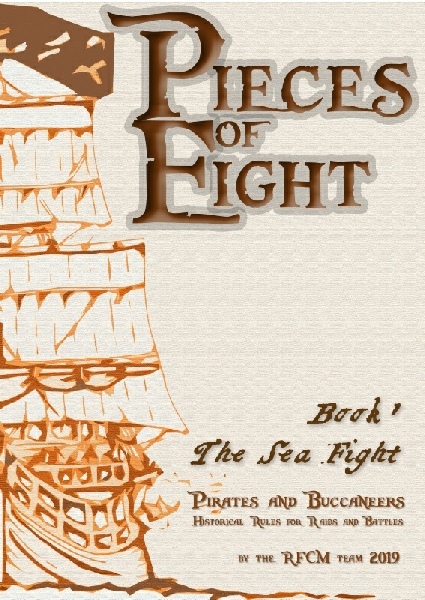 Pieces of Eight game play record sheets. It still uses the 15mn basing and 1/450th ships that the previous edition used. It is fantastic! The classic ACW naval game. First brought out in 1988 and has not been changed much since. Elegant and enjoyable. A great game, written for players. A set of rules written for the ACW only. Not a conversion of some "sort of like" period. 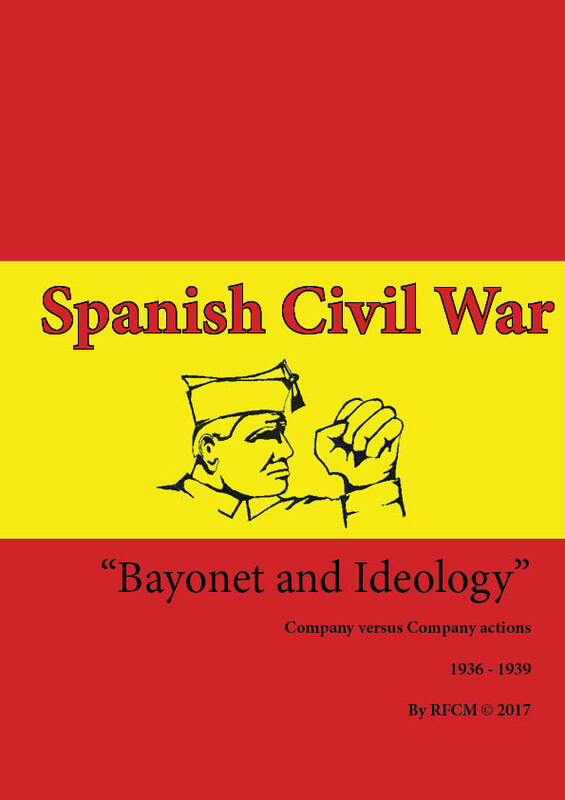 The ACW 15mm rules. Great set of rules that flow very nicely. The basic unit is the brigade. Hey, you in the jail! 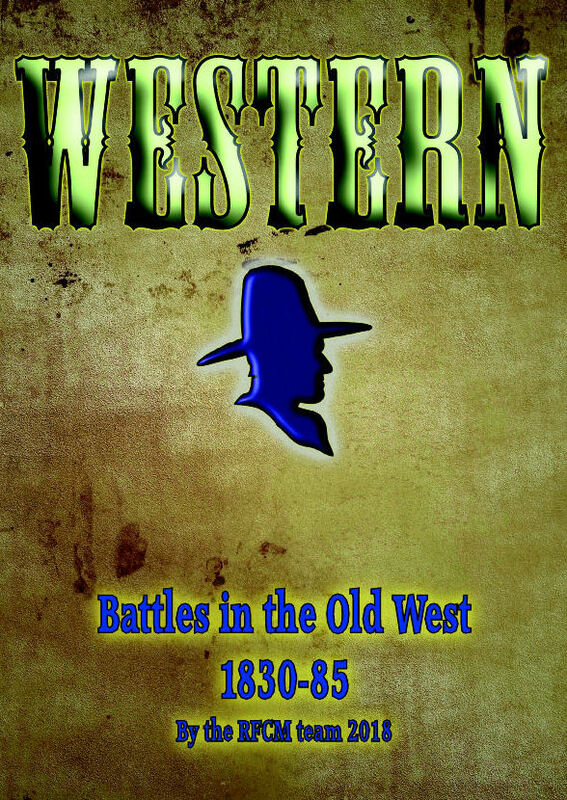 A game of small western battles. Not skirmish gunfights, which are well covered by plenty of other rules sets. This gives a game wherein each player will have about 65 figures put into groups. These groups make up into a force themed on one of 10 types. The game is a mixture of on and of f table manoeuvre. Basic fighting and shooting mechanisms are carried out with normal six sided dice. These rules are set in the "old West" of the USA. The rules are not skirmish but small battles. Which were quite common in the US of the 19th century. There are ten "force" types (no, not factions). Mexicans, Plains Indians, townsfolk, posse, Gunmen, army, workers, cattlemen.... A force will consist of bases with 3 figures on them along with some single figure bases (characters). Played on 6 x 4 table. These rules give a proper "little battle" not a gunfight. WESTERN rules that cover the battles of the Old West. These replace the 1992 "Hey you in the Jail" set. We usually update rules after about 10 years). These rules are designed for games wherein the figures operate in groups. They are not a skirmish set . There are ten force options. A typical force in 15mm would use 100 figures (about 50 in 25mm) put into 5 groups. 5 x 3 table. All mechanisms uses the table grid(6 inch squares for 15mm, 8" for 25mm etc). The rules will use the usual wire bound "lay flat" PP style. The signature PP grid system is also used. Western is full of new ideas and elegant processes. It has been well received when put on the the US and various UK shows (we would say that wouldn't we Christine?). As usual the play sheets and battle sheet swill be "down loadable" free of charge on the PP website. Fighting in the Sudan 1885. The period around Gordon in Khartoum. Dervishes, fuzzy wuzzies, red coats, camels and dangerous patrols. About 100 figures per side. Usual 3 x 3cm bases. Lots of new and innovative systems using D6. fought on a 3x5 table. lots of decisions and challenges. Armies from 1900 to 1928. "Armies in the age of the bolt action rifle". 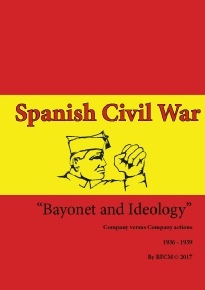 Includes Cuban war, Boer war, Boxer Rebellion, Balkan war, WW1, British Revolution, RCW, Russo Japanese War, Mexican war, Rif Wars, Chaco War. This is the old version which used One foot squares. This game uses a 6" grid. This means a square is either building, partial cover or not. By using squares it is clearer to the player what scenery the men are in, without fussing over trivial non-important detail. Thus infantry can "move into the farm"(proper platoon commander's order) without being told to "make sure you are behind the wall and facing the enemy MG"(waste of time game mechanism). The first version has lasted about 17 years. 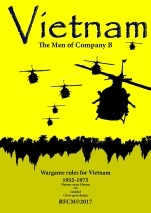 Each player commands a company of men from this war. Anarchists, Moroccans, nationalists, international brigade, Republicans etc. Mainly infantry with some armour and cavalry. Based on PBI systems of squares. Includes 12 company types and rules for scenario building and victory.. really good. WW2 Rules for 15mm . Each player has a number of units. each unit is either armour, infantry, support etc. Use of order cards to determine what the army can do each turn, Uses D6. Intended for a 6x4 table size. Loads of new ideas. Easy to play....tactical. This is the rule book. Player is a company commander. 142 Pages. Includes all the rules for WW2 company level gaming. Click here for Battle sheet. Use this for notes about each game. Click here for recon grid. Use this for carrying out the scenario generator. This is the list of companies for PBI. Organisation and composition of companies for PBI company commander. 97 Pages. This book should be used alongside PBI Company commander. This is the two books above sold as a pair to save you money. PBI "Quick Start" is a VERY cut down PBI. It is intended for beginners and tasters. It is a free download. The Men of Company B (MCB) covers search and destroy actions in Vietnam. The figure scale is 1:1. Each player controls about 50 figures. There is also the ability to include vehicles. The US or allied player searches and the communist player attempts to stop him. 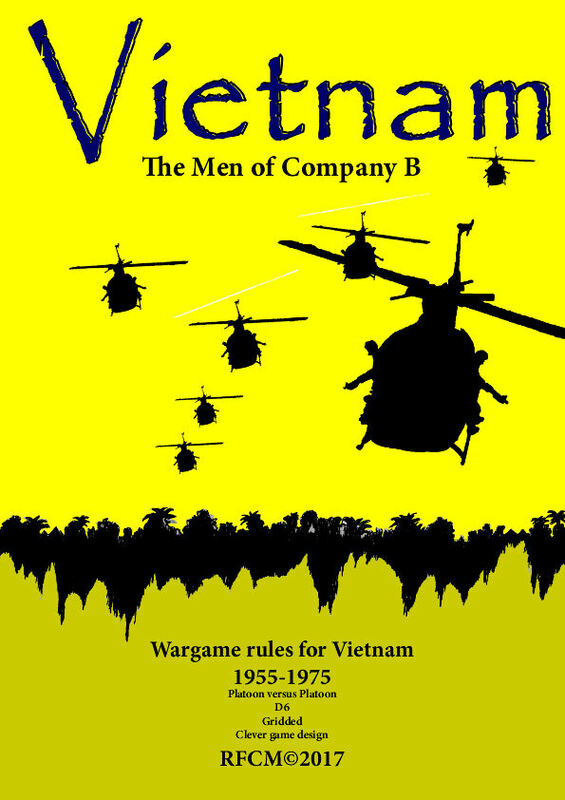 "The men of company B"
"The best set of Vietnam rules I have played"
For modern warfare we offer you AK47 Republic. These rules are often known as just "AK47". The classic and newer (reloaded) versions are available. The Classic version is only available as a pdf. the newer version is only available as a printed book. Neither book needs any supplements and give all that is needed for the game. If you build forces for either version they are still valid for the other version. AK47 covers the armies of third world countries. these armies are often ad-hoc and very experienced in fighting. They usually suffer from lack of training and equipment. part of the challenge is deciding which army to use. Each army has it's own attributes and strengths. Peter Pig has been producing rules since 1974 (Bounce 5000). Early rule sets often featured lists of modifiers, fixed move distances and inclusion of too many considerations (sorry). The only rule sets that PP has regularly played in the past are the WRG ancients versions 3 to 6, along with DBA. They were enjoyable; proof that Phil Barker is probably the most influential rule writer of recent times that I have met. Peter Pig rule sets are not aimed at the commonly accepted “fun” target audience. Instead these rules are aimed at players wishing to learn about the history involved in fighting battles of that period. Players will be restricted in their actions as if they were a real commander in that period. Luck will play a part in denting a plan, but will not allow the plan to change turn by turn upon the latest random event. The game will usually be won by the player with the better historically plausible plan, rather than the player who just reacts to whatever random thing happens. PP games are challenging, tactical, adsorbing and enjoyable. It is for other games to just be “fun”. Peter Pig rules contain very innovative rule mechanisms. We do this so that each mechanism feels right for the activity covered, a sort of onomatopoeia. Thus if the armour is weaker on the side of a tank we make it harder for the armour to stand up to the incoming round. In a one to one man challenge the decision to roll or not roll another D6 might be terminal, reflecting the damage that can result from a single false move. A huge amount of ammo is needed for a kill in WW2. So the large amount of D6 might be better deployed to pin than kill. The mechanisms favour the use of appropriate period tactics, but do allow the "mad idea" a chance (failure is an orphan, victory has many fathers). No PP game needs an umpire, there are too few wargamers. PP games are usually in the "balance" up until the end phases. In PP games,victory usually goes to the player with a plan that can be achieved with the resources available. Some luck helps too. Advice, if needed, might be "do not surrender the initiative", "stick with your plan", “have reasonable expectations of your troops" and “expect some setbacks". It is a game after all. PP mechanisms change greatly between rule sets. PP introduced the use of 6 as the picture face of D6. PP used card driven activation back in 1983 for HI. We were not the first, but definitely lead. PP games need no long prior pre-planning, just turn up with your pointed army and the rules will create that game's scenario. PP rules are greyscale inside and colour for covers and playsheets. In order to clarify the genetics of RFCM rules the overall acronym of "TUPS" can be used. TUPS= Turn Up and Play Systems. Most sets have a play sheet as the rear cover. It is worthy of note that it is more difficult to write simple rules that reflect a period in history, than to write complex ones. All rules are suitable for multi-player or club games... and are enjoyable too! Hence the name "RULES FOR THE COMMON MAN". RFCM rules are all copyright and owned by Peter Pig. Please do not photocopy the rules as it is piracy. If you need extra play sheets we can supply them in packs. We need the sales of rules to help support our company. Many dishonest people try to rationalise their piracy by using lame excuses; but that is what they are ,"excuses" (by dishonest people) and deprive us of our hard earned income. It takes many months of team work to create a set of rules. We do rely on honest wargamers to support us and allow us to be able to continue with our rule writing. "Rule sales create figure sales, therefore rule sets should be free"
The postage on sending rule sets abroad is now very high. For the newer sets it is costing us up to £9 to post each set. Because of this, we have added a supplement into the cost of the rules in addition to the shipping charge for those expensive deliveries. We have not raised the normal postage rates for figures as they are much cheaper to send than books. We still make a loss on posting rule books so please don't feel we are robbing you. We just need to cover our costs (mostly).